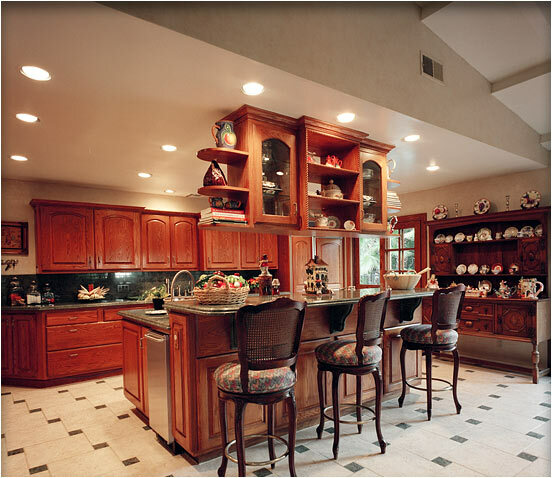 Smaller Project 6-3, Kitchen Remodel » Roger Perron Inc. This view shows the opposite side of the kitchen remodel with its wide-open look. A large beam was installed to provide a wide-open feel to the dining room and family room. We replaced the tile top with granite slabs. Design plan by Roger Perron, design-build contractor; interior decorating design for this Beverly Hills home was created by Marilyn Brown.